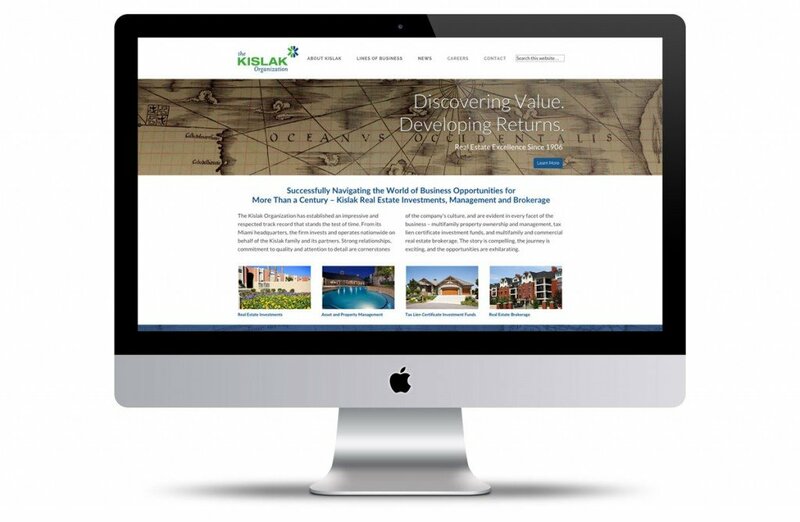 Vortex Communications, a Miami-based web design and print communications firm was commissioned to develop a new website for The Kislak Organization. The primary purpose of the project was to enable the marketing team to manage the content of the website in-house without the need for outside programmers. A secondary goal was to ensure that the site would be “responsive,” or smartphone and tablet friendly. Vortex Communications created a new interface based on linking the company’s history with the chairman’s interest in early explorers, cartography and primitive art. The Jay I. Kislak Foundation has built a collection of important documents from early discoverers — maps, journals and artwork from around the world. A portion of the collection was recently donated to the Library of Congress. “Working closely with the client, we came up with the theme “Discovering Value, Developing Returns.” Weinkle continued “The Kislak passion for collecting and creating their collection was a perfect way to tie in the company’s real estate development and management activities. “Using pre-designed templates is an effective method of keeping a tight handle on budgets, but they needed a customized user interface. WordPress allowed us to deliver a look that was unique to Kislak. We added appropriate plug-ins to add functionality where needed and trained the client on managing content, and so they were able to play an active role as we moved to launch the site.” Weinkle adds…”The launch went smoothly, and the client is now “at the helm”, discovering the value of having control over their content management.